Who-Woo’s Making Discoveries in Science! Owl pellets have arrived! Our students put on their virtual lab coats and used the scientific method to explore and make observations. 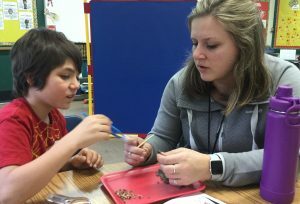 Digging into this hands on science activity revealed many surprise treasures! Previous postOoompah-Loompah, Power of Yet! Next postTaking a pass!